Last week I taught a course at Briercrest Seminary called “Ministry Issues in the Contemporary Context”, with the task of navigating through various ministry models as we serve in the twenty-first century. The previous teacher of this course, in keeping with the thinking of the Seminary at the time, focused on the emergent church as the path to effective post-modern ministry. Interestingly enough “emergent church” has not really taken off in Canada, and for that fact no model has emerged as dominant or even trendy. Wrestling on how to teach a course focused on church models at a time of the non-model, I was attracted to Tim Keller’s recently published “Center Church: Doing Balanced Gospel Centered Ministry in Your City.” We used the book as our key textbook and it was clearly a hit with the students coming from a diversity of backgrounds. A typical comment from these students: “Best book I’ve read on the church!” And they’ve been reading lots before getting to this class! In this era where no one model is really gaining traction for the church, Keller notes that what’s happening in the evangelical church, even within various previously united and doctrinally tight denominations, is fragmentation on the whole issue of how the church relates to culture. This comes from entering into a new and confusing experience of living in a post Christendom age, where it is no longer “church as usual,” and where in Canada, the evangelical church is now entering into decline for the first time in it’s history. So in response there is a lot of reaction going on, splintering us in various directions. I see this fragmentation within my own church family, the Christian & Missionary Alliance. Our holiness/revivalist roots inherited from our founder AB Simpson have often but not consistently expressed themselves through a strong inclination towards a pragmatic relevant approach to bringing the message and experience of the Gospel locally and globally. This has been increasingly challenged by both growing numbers of Neo-Calvinists as well as Neo-Anabaptists, creating what is now at least three distinct camps within our denominational family. Camps that appear to be becoming increasingly entrenched and not always gracious as they passionately embrace their perspectives over and against what they saw in the churches they grew up in. This fragmentation has created a growing level of discomfort that I’ve not experienced before in my almost 35 years with this church family. 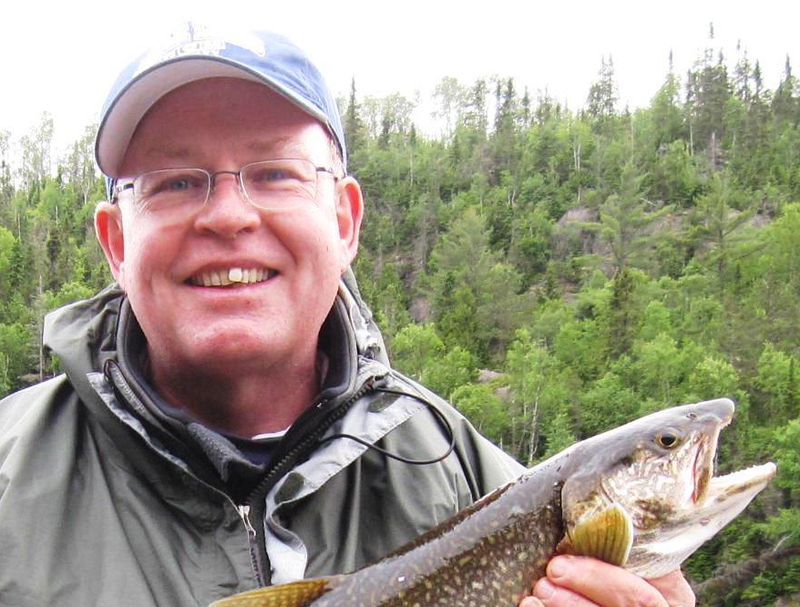 I suspect you would as well find this in other Canadian denominational families. This is where Keller steps in and graciously calls us all to look to the centre. Historically the Alliance has always been a centrist movement proudly embracing what some have called the “radical middle.” Now Keller writes as a confident Neo-Calvinist with a call to engage with and learn from other streams in order to maintain biblical balance. He doesn’t really see anyone as being in the centre, that we all have a tendency to favour one biblically rooted approach to working with culture over another. The call is to recognize what is our favoured approach and to move towards the center of that approach by blending the insights of our biases with those of other traditions. Take a look at his cultural engagement diagram here to get a bit of a feel of what he’s doing. And of course there are always those who are further from the centre on each of these approaches and just are not able to embrace the “Center Church” concept. Some of Keller’s friends in the Neo-Calvinist Gospel Coalition movement have been heard to ask, “What do we do with Keller?” since he so strongly embraces those who are not Neo-Calvinist. Some like Alliance pastor with a Neo-Anabaptist bent and ties to the Missio Alliance, David Fitch are gracious but concerned that Keller’s view of the Gospel centres narrowly on penal substitution and is not as much about embracing the Gospel as redeeming the whole planet. Scot McKnight of the “King Jesus Gospel” might echo a similar concern. And while I think their criticisms have real validity, Keller certainly makes room for the need for deeds as a part of holistic ministry. His insistence that part of what we’re called to do is to seek the prosperity and peace of our city does bring balance to his traditional soterian view of the Gospel. Being “centered” means were really not that far apart. For me, coming from what Keller calls the “Seeker Sensitive,” camp, which he locates close to centre on the “relevant spoke,” I found his approach to contextualization probably the best biblical defense of contextualization I’ve read. In many ways this Neo-Calvinist has written one of the best theologies for the “seeker movement” that you will find. And that’s probably why the fewest number of criticisms for the book come from those of us who identify a bit more closely with the seeker movement. At the same time I identify with his concerns that the further from centre you move along the relevance track, the more “liberal” and “less biblically rooted” your theology becomes. So let me humbly suggest that this is one of those books that just needs to be read by every pastor out there! It certainly needs to read by every Canadian Alliance pastor as a theological call to bridge the growing fragmentation in our church family. Perhaps David Hearn, as President of the Alliance in Canada, you might add this book to the ordination reading list. 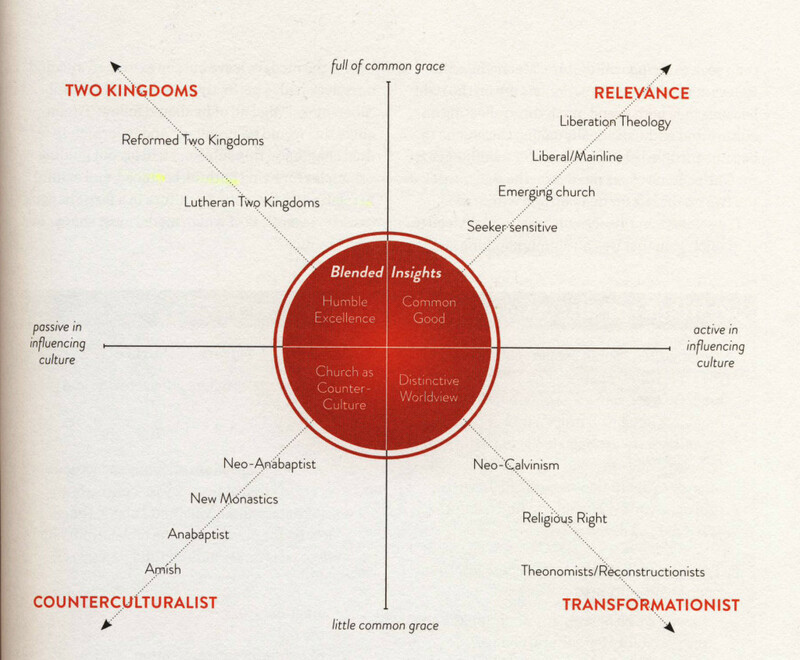 Putting Keller besides NT Wright who we now read, might nicely signal balance and centredness that has historically marked the Christian & Missionary Alliance. 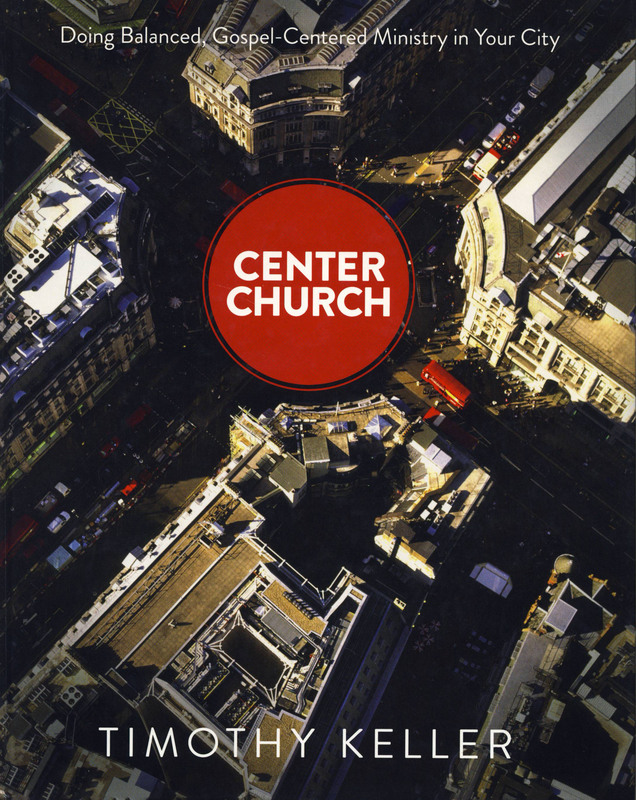 In the end “Center Church,” is not just another new model out there, it truly is what it claims to be “a theological vision” for the church that links doctrine to practice. In my view, a timely book indeed!